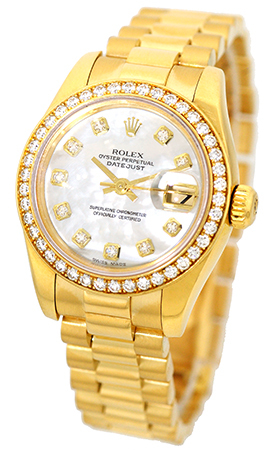 Certified Pre-Owned New Style Lady's 18K Yellow Gold Rolex "President". 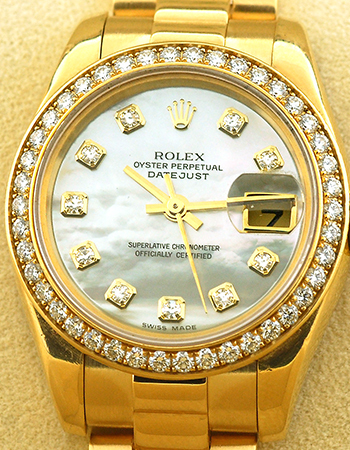 Factory Rolex White Mother- of-Pearl Diamond Dial, Sweep Second Hand, Date Indicator. 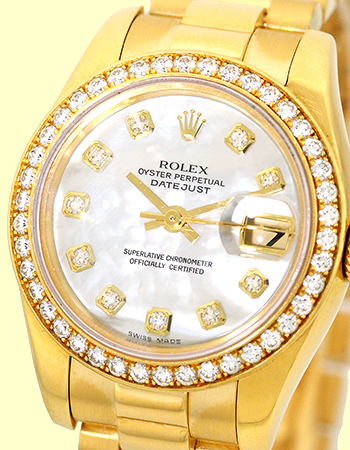 Factory Rolex 18K Yellow Gold Diamond Bezel and Sapphire Crystal. 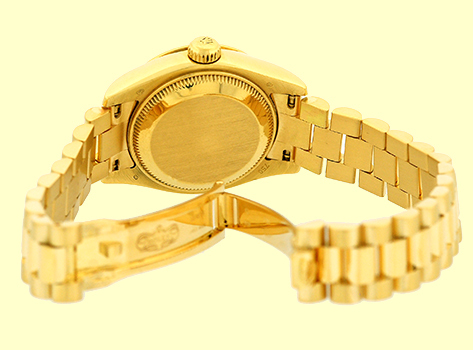 Matching Solid New Style 18K Yellow Gold Rolex "President" Hidden Clasp Bracelet. 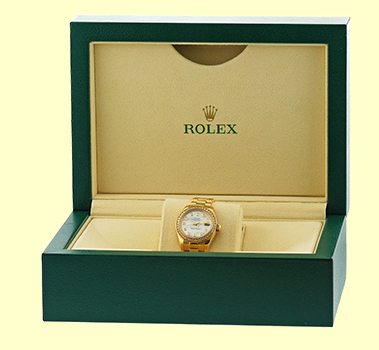 Certified Pre-Owned, Like New Condition with Rolex Box, Booklet, Hang Tag and complete with Capetown's Lifetime Warranty! !